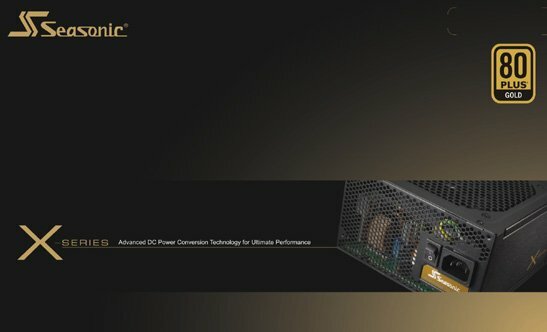 SeaSonic also reveals an update to its X-Series 80Plus Gold power supplies with new 650W, 750W, 850W, 1050W and 1250W models. Since its launch in 2010, the 80 PlusR Gold X-series has received countless top reviews and awards. The Seasonic X-series has become the choice of enthusiasts who seek high quality, performance and efficiency. The new X-650, X-750 and X-850 models feature our unique integrated DC connector panel with onboard VRM (Voltage Regulator Module). This feature not only enables ideal DC-to-DC conversion and reduced current loss but it also includes Fully Modular DC Cabling to ensure forward compatibility and flexible integration. The already tight voltage regulation has further been improved from ±3 to ±2%, which results in higher efficiency and better performance. An important feature of the X-650, X-750 and X-850 units is the state of the art cooling that also enables absolute silent running. For manual control, however, there is a selector switch on the modular cable plug side of the PSU, which enables the user to select between traditional fan control (S2FC) and the semi-fanless mode (S3FC). In S3FC mode the fan will only start spinning at loads above 20% of the maximum load. This particularly efficient fan control design is complemented by top quality Sanyo Denki San Ace fans, which are considered to be one of the best on the market today. They feature three-point balancing, copper axel and spoon shaped blades to ensure the most reliable performance. Amongst the numerous top quality components that the Seasonic X-Series incorporates are the Japan sourced 105°C Aluminum Electrolytic Capacitors, the Gold-plated High Current Terminals and the Dual Sided PCB. The 7-year manufacturer’s warranty demonstrates Sea Sonic’s commitment to advanced technology, superior quality, and overall long-term reliability and performance.